ClampMan is a perfect solution for fixing PCBs of various shapes and formats in a high variety of different ways. 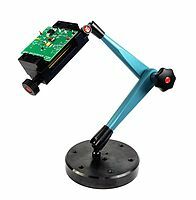 Due to its flexible design it is possible to perfectly position each PCB for tasks such as measuring, soldering or thermal imaging. 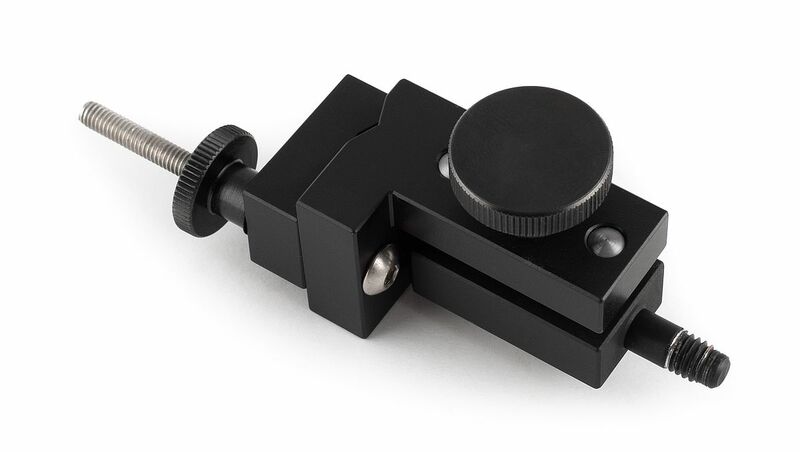 ClampMan was especially designed to clamp energized PCBs while enabling safe measurements from both sides. 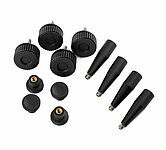 This is very helpful for power electronic measurements like measuring the power factor or efficiency of a power supply. 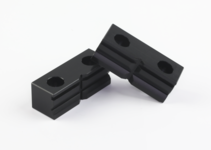 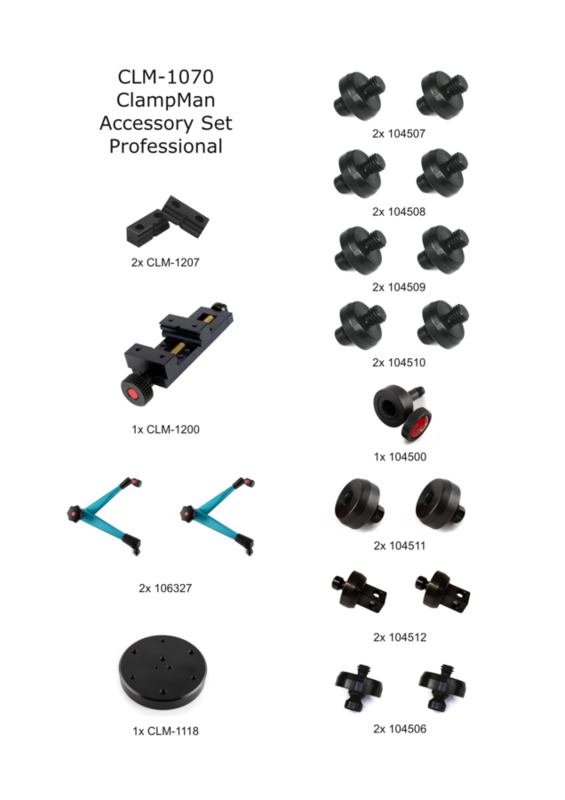 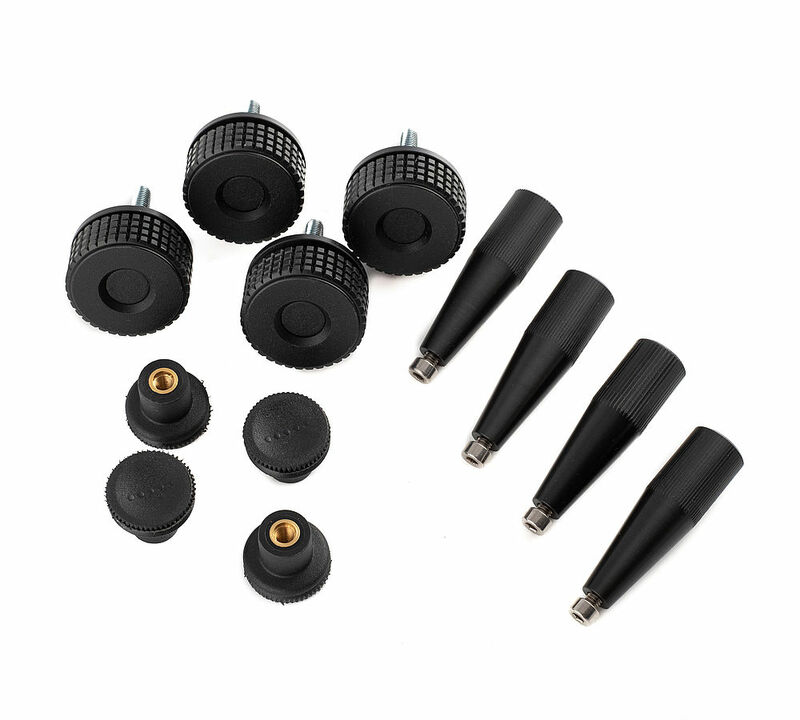 The provided clamping accessories enable the fixing of printed circuit boards in many different positions with multiple degrees of freedom. 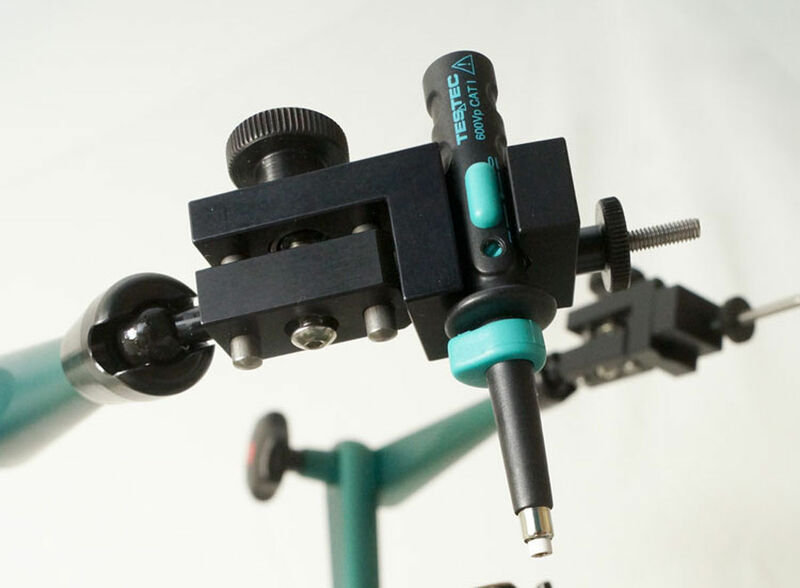 This ensures an unsurpassed level of versatility for soldering, repair or assembly of printed circuit boards. 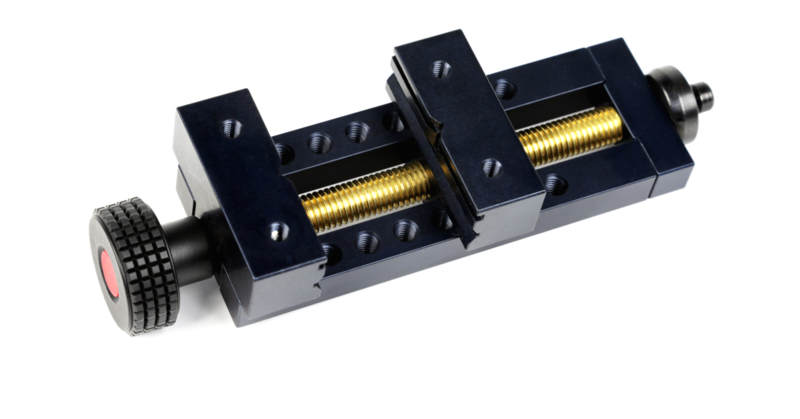 ClampMan integrates H&Gs precise hydraulic joint stands who have been highly valued in processing and medical engineering industries for decades. 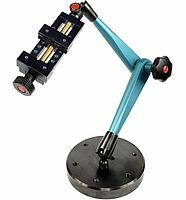 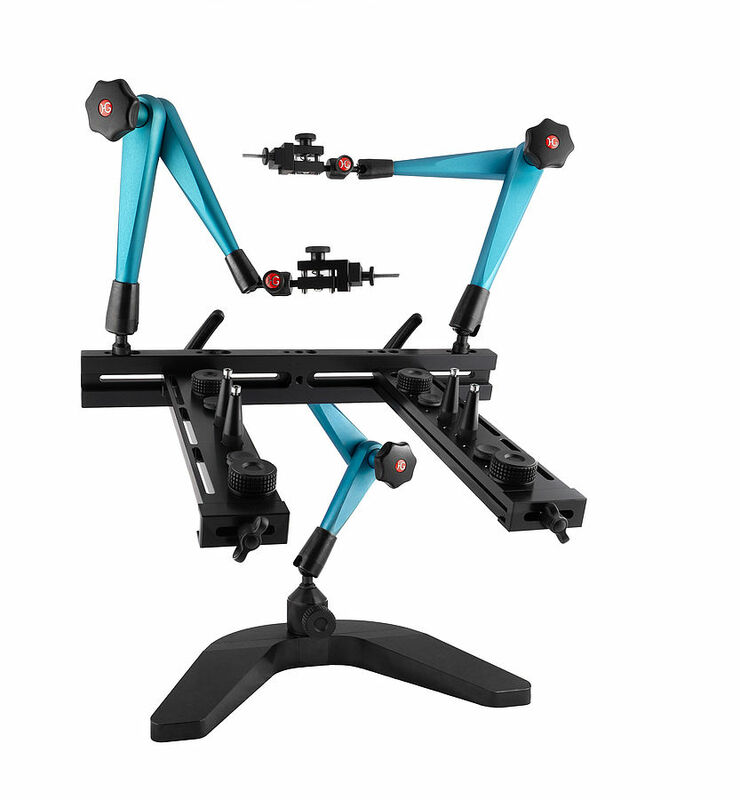 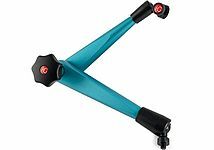 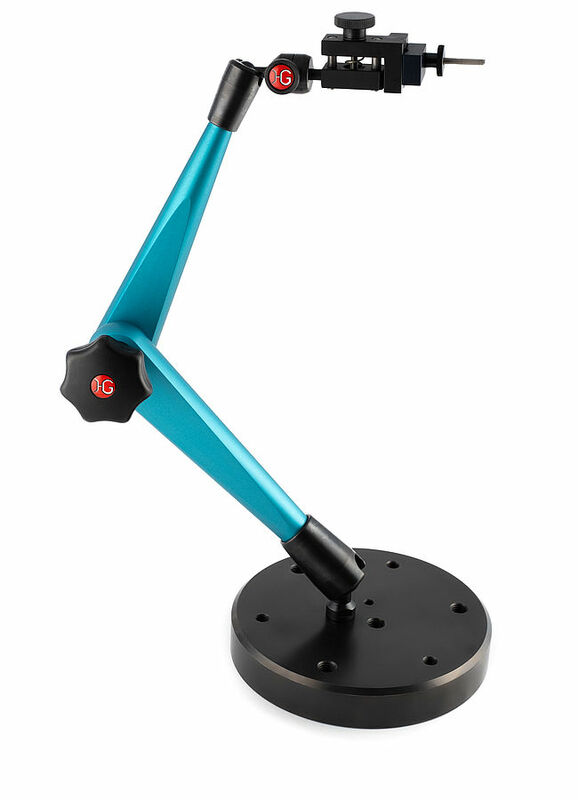 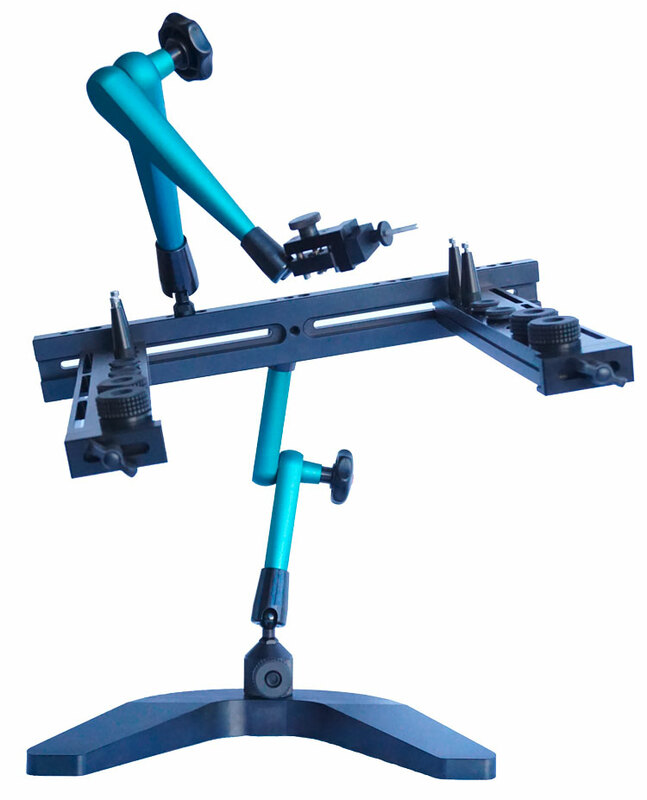 These joint stands allow to exactly position measurement probes or other equipment like thermal imaging cameras. In its basic version ClampMan comes with one hydraulic probe holder. 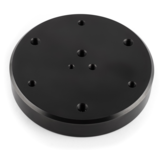 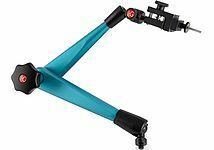 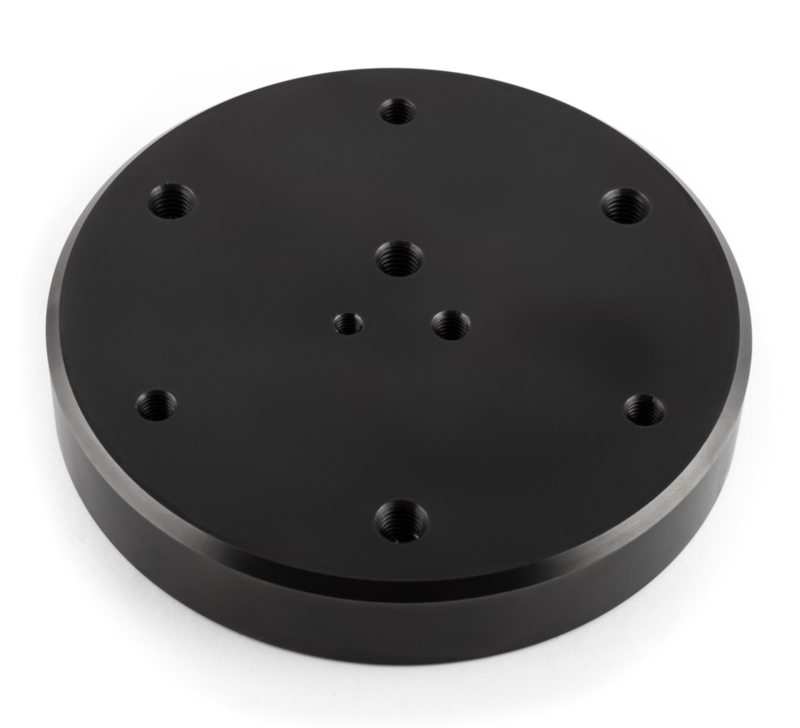 Additional hydraulic joint stands are available as accessories. 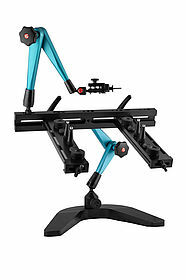 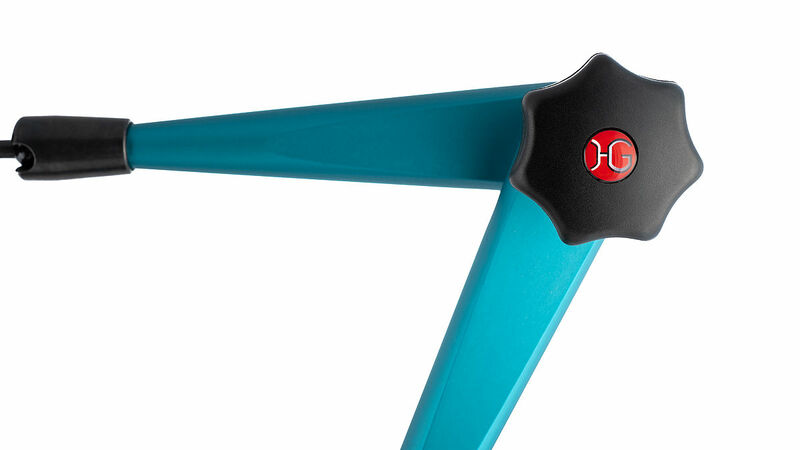 In total up to ten joint stands with probe holders can be mounted. If you have further questions or need a quotation, we are happy to support you - please feel free to send us an e-mail.